LONDON -- In a medical first, a woman in Sweden has given birth after receiving a womb transplant, the doctor who performed the pioneering procedure said Friday. The 36-year-old mother received a uterus from a close family friend last year. Her baby boy was born prematurely but healthy last month, and mother and child are now at home and well. The identities of the woman and her male partner were not disclosed. "The baby is fantastic," said Dr. Mats Brannstrom, a professor of obstetrics and gynecology at the University of Gothenburg and Stockholm IVF who led the research and delivered the baby with the help of his wife, a midwife. "But it is even better to see the joy in the parents and how happy he made them." Brannstrom said it was "still sinking in that we have actually done it." The feat opens up a new but still experimental alternative for some of the thousands of women each year who are unable to have children because they lost a uterus to cancer or were born without one. Before this case proved the concept can work, some experts had questioned whether a transplanted womb would be able to nourish a fetus. Others have questioned whether such an extreme step - expensive and fraught with medical risks - would even be a realistic option for many women. Dr. Glenn Schattman, past president of Society for Assisted Reproductive Technologies and a Cornell University fertility specialist, said womb transplants are likely to remain very uncommon. "This would not be done unless there were no other options," he said. "It requires a very long surgery and not without risk and complications." For the proud parents, however, the years of research and experimentation were well worth the wait. "It was a pretty tough journey over the years, but we now have the most amazing baby," the father said in a telephone interview. "He is very, very cute, and he doesn't even scream, he just murmurs." He said he and his wife, both competitive athletes, were convinced the procedure would work, despite its experimental nature. Before these cases, there had been two attempts to transplant a womb -- in Turkey and Saudi Arabia -- but no live births resulted. Doctors in Britain, France, Japan, Turkey and elsewhere are planning to try similar operations, but using wombs from women who have just died rather than live donors. 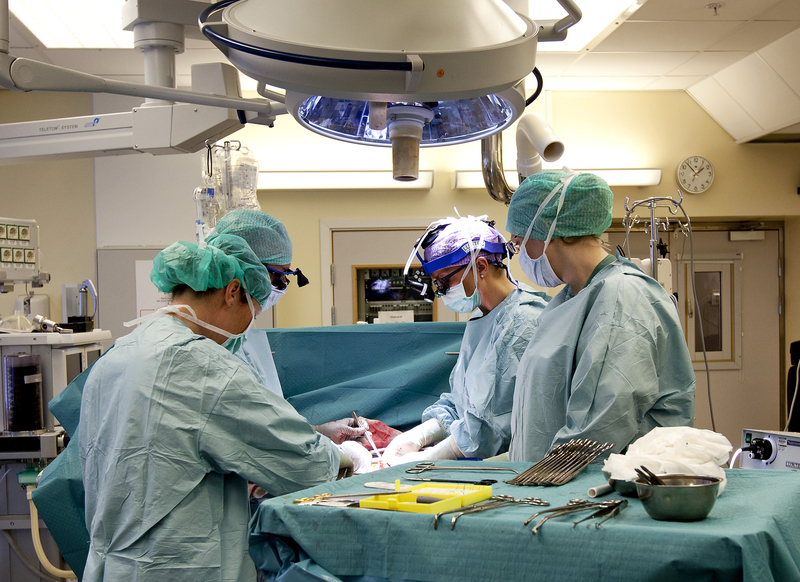 The Swedish woman had healthy ovaries, but she was born without a uterus -- a syndrome seen in one girl in 4,500. She received a uterus from a 61-year-old family friend who had gone through menopause after giving birth to two children. The recipient has had to take three medicines to prevent her body from rejecting the new organ. About six weeks after the transplant, she got her menstrual period -- a sign the womb was healthy. After one year, when doctors were confident the womb was working well, they transferred a single embryo created in a lab dish using the woman's eggs and her partner's sperm. The woman, who has only one kidney, had three mild rejection episodes, including one during pregnancy, but all were successfully treated with medicines. The research was paid for by the Jane and Dan Olsson Foundation for Science, a Swedish charity. The baby's growth and blood flow to the womb and umbilical cord were normal until the 31st week of pregnancy, when the mother developed a dangerous high-blood pressure condition called pre-eclampsia. After an abnormal fetal heart rate was detected, the baby was delivered by cesarean section. He weighed 3.9 pounds at birth -- normal for that stage of pregnancy. Full gestation is about 40 weeks. The baby was released from the neonatal unit 10 days after birth. "He's no different from any other child, but he will have a good story to tell," the father said. "One day he can look at the newspaper articles about how he was born and know that he was the first in the world" to be born this way. Details of the case are to be published soon in the journal Lancet. Some critics have said that taking a womb from a live person is unethical and too big a risk to the donor for an operation that isn't life-saving. But Brannstrom said there were too few deceased donors to consider that option in Sweden. "Most couples will do just about anything to have a baby. We need to see this happen a little bit more and see how safe it is," said Dr. Nanette Santoro, obstetrics chief at the University of Colorado in Denver. "It's not clear to me how many women would choose this, because it seems pretty arduous." Brannstrom said he was concerned he might have hurt the womb during the C-section and said they would have to wait a couple of months before knowing if the mother would be able to keep the uterus for a second pregnancy. "We will definitely think about that," the father said. "But right now, we're very happy with just one baby."